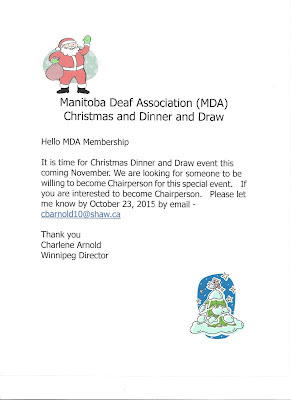 This is to inform you that Manitoba Deaf Association (MDA) Christmas Dinner and Draw has been cancelled due to a lack of interest among the Deaf community for a Chairperson. 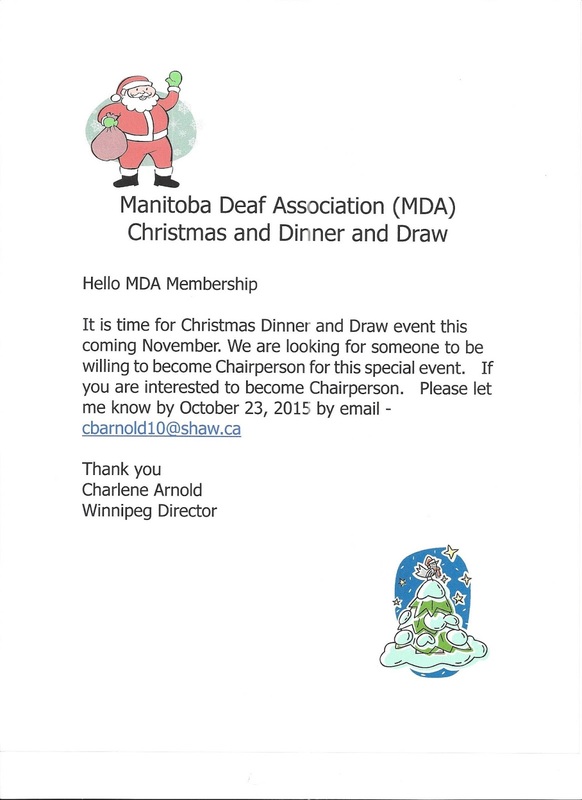 The deadline for a Chairperson was Friday October 23, 2015. Sorry for the inconvenience. Hopefully we will have better success next year! Friendly Reminder- Change one hour back! !